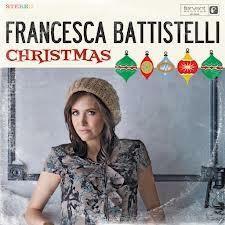 This CD+ DVD combination pack features Francesca Battistelli's 11-track album, Christmas, produced by Ian Eskelin, on CD as well as a DVD of the album performed live in Nashville, TN with additional bonus footage. Christmas is comprised of both classics and some newly-penned Christmas tunes. The new songs all co-written by Battistelli are: 'Heaven Everywhere', 'Christmas Is', 'Christmas Dreams' and 'You're Here.